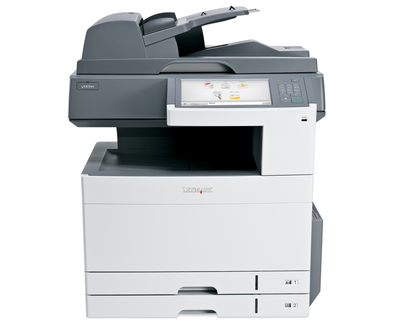 The Lexmark XC4140 offers workgroup-level printing performance and advanced scanning capabilities in a feature-rich package that’s as easy to use as a personal output device. 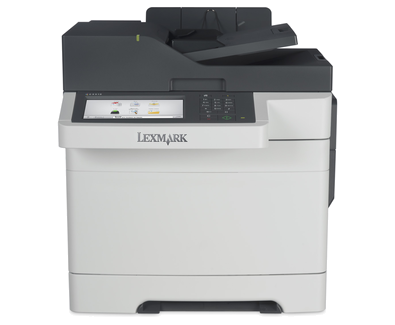 The Lexmark XC6152 workgroup color letter/A4 MFP prints up to 52 pages per minute and has business-class features like pre-installed software solutions and an inline staple finisher. 7-inch Color e-Task interface, Expandable options and much more! Perfectly match brand colors and have accurate color output without paying a premium. Lexmark Color Replacement combines spot color replacement and RGB replacement for precision matching of critical colors. PANTONE® calibration and embedded color sample pages help nail the perfect color at the design stage. 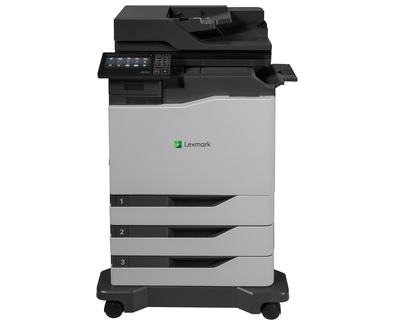 The network-ready Lexmark XC2132 MFP with a color touch screen and a print speed as fast as 32 ppm with 2-sided printing lets you copy, scan and fax. Produce professional color in-house, on demand. With 1 GB of upgradable memory and a dual-core processor, you’ll print fast, too. 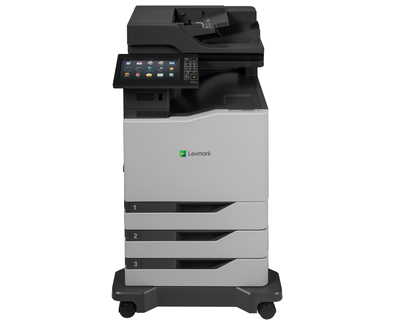 The Lexmark XS925de color MFP delivers affordable A3 and color functionality for your busy workgroup through easy-to-use features, productivity solutions and a compact design. 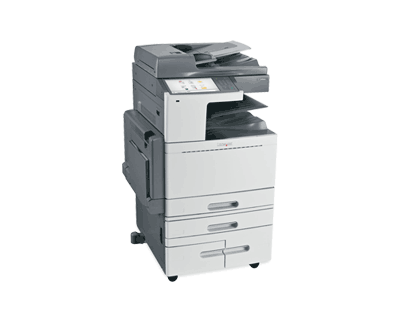 Power up your office with the Lexmark XS955dhe, featuring high-performance A3 color functionality, flexible features, easy-to-use workflow solutions, advanced security. 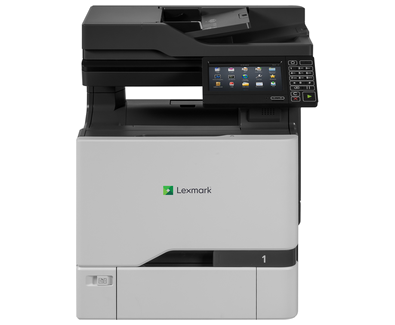 Call us today to order your new Lexmark color multifunction product! !